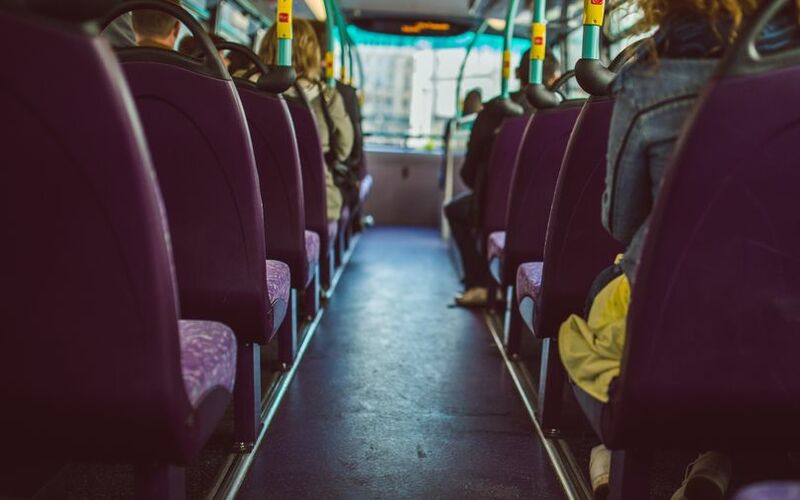 Bus aggregation platform Shuttl is set to raise $11 million (around Rs 76 crore) in a fresh round of funding from a clutch of investors including e-commerce behemoth Amazon, a person familiar with the development told VCCircle. Japan-based Dentsu Ventures is the other new investor in the picture, the above-mentioned person said on the condition of anonymity. Existing investors Sequoia Capital, Lightspeed Venture Partners and Times Internet Limited are also expected to contribute to the fresh round of funding. Ambiga Subramanian, co-founder of data analytics MuSigma, will also invest in her personal capacity, the person added. Subramanian is currently working on her own social networking application called hyphen.social. Gurugram-based Shuttl’s filings with the Ministry of Corporate Affairs reveal that it has already received around $5.6 million (Rs 38.30 crore in current exchange rates) in a tranche led by Dentsu Ventures, which contributed Rs 12.8 crore ($1.85 million). Subramanian has invested about $1.5 million (Rs 9.56 crore) while existing investors Sequoia Capital, Lightspeed Venture Partners and Times Internet Limited (TIL) accounted for the rest. Shuttl’s last known external funding took place in 2015, when it had raised $20 million in a Series A round which saw participation from Lightspeed Venture Partners, Sequoia India and Times Internet Ltd.
Back-of-the-envelope estimates by VCCircle suggest that Shuttl’s fresh round of funding will be raised at a post-money valuation of roughly $80-85 million (Rs 550-590 crore). This would represent a nearly 80% jump in its post-money valuation compared to the 2015 round. E-mail queries sent to Amazon as well as Shuttl co-founders Deepansh Malviya and Amit Singh did not elicit a response till the time of publishing this report. Shuttl’s fundraise comes months after homegrown ride-hailing unicorn Ola abruptly decided to shut its bus unit, Ola Shuttle. App-based bus services have found the going tough. These startups have struggled to scale up and have often run into trouble with regulatory authorities and public transport services. The exit of a high-profile player like Ola had cast a shadow over the future and viability of the bus aggregation business in the country. Owned by Super Highway Labs Pvt. Ltd, Shuttl was founded in April 2015 by Singh, an alumnus of Indian Institute of Technology-Delhi, and IIT-Kanpur graduate Malviya. Currently operational in Delhi-NCR, the platform provides shuttle services across more than 50 routes with about 600 buses, averaging around 30,000 rides a day. Shuttl also separately caters to corporates. In addition, it also provides vehicles for rentals, according to information available on its platform. Singh recently told news portal Moneycontrol that Shuttl was planning to expand beyond Delhi-NCR. According to Shuttl’s filings with MCA, it posted operational revenue of Rs 14.34 crore in the financial year 2016-17, a seven-fold increase from Rs 2.23 crore the previous fiscal. Its net losses widened to Rs 59.07 crore, up from Rs 52.54 crore in 2015-16. Shuttl is among the best-funded players in the space. Other bus aggregation startups include ZipGo and Cityflo. The trio position themselves as cheaper and greener alternatives in metros, providing long-distance trunk routes connecting housing suburbs with business hubs. In April last year, VCCircle reported that Bengaluru-based ZipGo Technologies Pvt. Ltd had raised Rs 33.4 crore ($5.2 million) in a Series A funding round co-led by ON Mauritius, part of Omidyar Network, and Chennai-based early-stage investment firm VenturEast Advisors. Cityflo had received $750,000 (Rs 4.9 crore) in seed funding from IDG Ventures and an unnamed investor in late-2015. Besides investing in its Indian e-commerce arm, where it has earmarked $5 billion for its operations, Amazon has also put money into a few other ventures in India. Last month, Amazon led a $12 million (around Rs 80 crore) investment in Mumbai-based online insurance startup Acko General Insurance Co. Ltd. In April, it invested $22 million (Rs 144 crore) in Bengaluru-based lending platform Capital Float. These investments are part of the US e-tailing giant’s strategy to ramp up its India play as it takes on the newly formed Walmart-Flipkart combine in the country.